So, you are ready to head to the airport. Your flight has been booked and you are ready to take to the sky. Although you will find yourself in the sky soon enough, before taking your seat you will be spending a bit of time in the airport. Unfortunately, many people have a hard time controlling their spending while in the airport. This is particularly true for those who have long layovers. 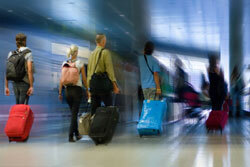 Airports have notoriously high prices, and are certainly no place to relax your otherwise smart spending habits. Once you set a limit, stick to it, and spend no more. For example, you may allocate $10 for food and beverages before and after your flight. While this may not sound like a lot of money, you can make it last if you search for the best deals and avoid soft drinks and alcohol. This is one area in which travelers spend entirely too much money. For example, if you show up to a car rental agency in your destination city without making prior arrangements, you will likely overspend. While you may be able to secure a rental car, you will be offered no opportunities to save. However, when you book online in advance, prices are often much lower – not to mention, you have a better chance of reserving the type of car that is right for you and your traveling party. The last thing you want is to show up at the airport looking for a compact car, just to find that the only thing available is a large SUV. Sure, you may be tempted by those headphones or that new paperback book. But guess what? Retailers in airports know that you have no other option but to buy from them, and they price their wares accordingly. As badly as you may want to purchase something, you are going to spend much more than you would online or at a store outside the airport. Unless you absolutely need the item, it is best to delay your purchase. Day after day, businesses in airport terminals all over the world cash in on consumers who are willing to spend money aimlessly. Don’t fall prey to their high prices. With the three tips above, you can save money on your next trip through the airport. What other money-saving tricks can you suggest for travelers? Do you know how to say no? If you are in your 40s or your 50s, can you say no to your kids’ requests for money? Do you feel selfish putting yourself first? If so, you may suffer financially in retirement and will benefit from saying “no”. Kiplinger’s recently shared how hard it is for many middle aged people to say no to their adult children’s requests for money. “It’s hard to say no, and most people don’t. But that decision may have long-term implications. Even if you don’t have to raid your retirement accounts, cutting back on your retirement-plan contributions to help family members translates into a smaller nest egg” (Kiplinger’s). My own grandpa retired at 62, and then he and my grandma sold their house and moved down to Florida for the winter months. Everyone knew that once they were in Florida for the winter, they did not fly back, even in the case of a death in the family. They missed my cousin’s funeral and several others over the years because they didn’t feel they could afford to fly back and forth. I thought this was cold when I was young, but I see now the wisdom in this. They had over 30 grandkids, and every Christmas and every birthday, each of us would get a handwritten card with a crisp one dollar bill enclosed. Even 30 years ago, this was not a lot of money, and I didn’t even spend it. I still have those one dollar bills saved as they are a physical remnant of my grandparents’ love. Because of their willingness to conserve their funds and say no, their retirement outlasted them, and they lived to 88 and 90, respectively. While I am not sure that I could miss a relative’s funeral to avoid an airline expense, I see now that my grandparents were very good at preserving their own retirement and putting themselves first. As a result, they never had to burden their children with their care, even when my grandma was in a care facility the last few years of her life. On the other hand, we have a close family friend who could never say no and helped finance several of her daughter’s business ventures, each of which failed. This friend has very little for retirement even though she is now in her mid-sixties. Unfortunately, her situation is not unique. Mari Adams, a Boca Raton, FL based financial advisor shares that “One of her clients is almost 70 years old and needs to retire soon, but she can’t because she spends too much of her money on her kids. Sometimes the kids are in their twenties or thirties – and even their forties. A study by the National Endowment for Financial Education found that more than 25% of parents surveyed took on additional debt to help their children, and 7% had to delay their own retirement because of it” (Kiplinger’s). 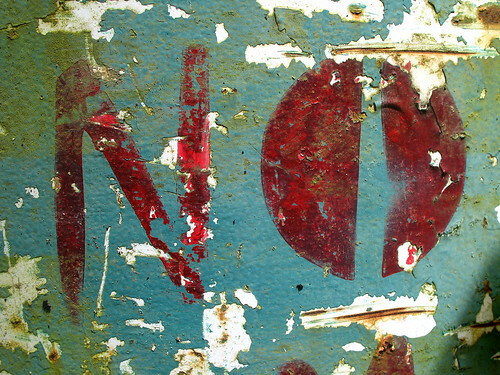 Saying no can be awkward and uncomfortable, especially if you do not frequently say no financially to your children. The best time to begin is when they are young. Because my grandparents only gave us $1 for our birthdays, I never expected anything more from them. Money didn’t enter our relationship, and I am glad for that. If your children are older, now may be the time to sit down with them and explain that you must save for your own retirement and are no longer able to help them. As difficult as this discussion may be, the kids will likely be glad when they don’t have to support you in retirement. Are you able to say no to your kids, or do you help them at the expense of your retirement? This post is being written in he comfort of the Delta Club at Los Angeles International Airport (LAX). No, I’m not a regular or even a member. With the purchase of a $50 pass, entrance was granted for the same experience as the very frequent fliers. Why Pay for an Airline Lounge Visit? I’ve been traveling for years but this is the first time I’ve ever been in an airline lounge and let me tell you, I could get used to it! You may think it’s extravagant (and I’m not disagreeing) but here are three reasons purchasing a pass could be worth the price. After a brief flight at the crack of dawn (okay, 6:30 am), I had 3 hours scheduled between flights. I could choose to spend them in a crowded terminal where a quiet space is not to be found, paying outrageous prices for food and drink and without internet access (at least for free). Instead I decided to spend some money and use the Delta Sky Club. IF nothing else, it would be much more relaxing and comfortable. A lot of the people already in the lounge when I arrived at 7:30 a.m. were international passengers. The lounge gave them a place to shower, eat and decompress after a long and overnight flight. Using an airline club would have drastically improved my day when I returned from my first trip to Europe. A three hour layover in Dallas was not enjoyable. In addition to the relaxing environment during my layover the real reason I shelled out $50 was because of the amenities in the lounge. I could get breakfast, free wi-fi, magazines and newspapers, beverages (alcoholic and virgin) and access to printers/televisions. Last month I had the same layover length and paid over $17 for a breakfast burrito, coffee and bottle of water. I didn’t use wi-fi because I hate paying so much for a couple of hours of access. I didn’t even like the breakfast burrito but there were very limited options. Today, I had oatmeal, half a bagel with cream cheese, an apple, coffee, juice and bottled water. I also had unlimited wi-fi and found a couple of interesting magazines to read. All this (and many more menu items) were included in the price of the pass. 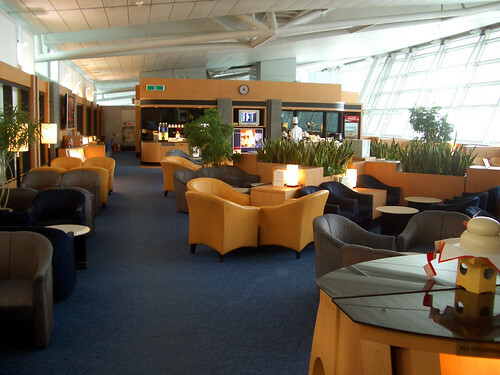 Only you can determine if the cost of an airline lounge is worth paying. For me, it was definitely $50 well spent. Ironically, that was the same price to upgrade to first class on my short 25 minute flight. That was not a good value for the money. I also think it depends on where you are in life. If I was still paying down my student loans I wouldn’t have splurged. However, having money in the budget for fun makes it a guilt-free pleasure that I will do again. Do you think airline lounges are worth the price?